Kersey is a picture-postcard village just outside Hadleigh, Suffolk. The village is famed for its wealth of thatched and timber-framed cottages, and for its medieval parish church, perched high on a hill overlooking the village. 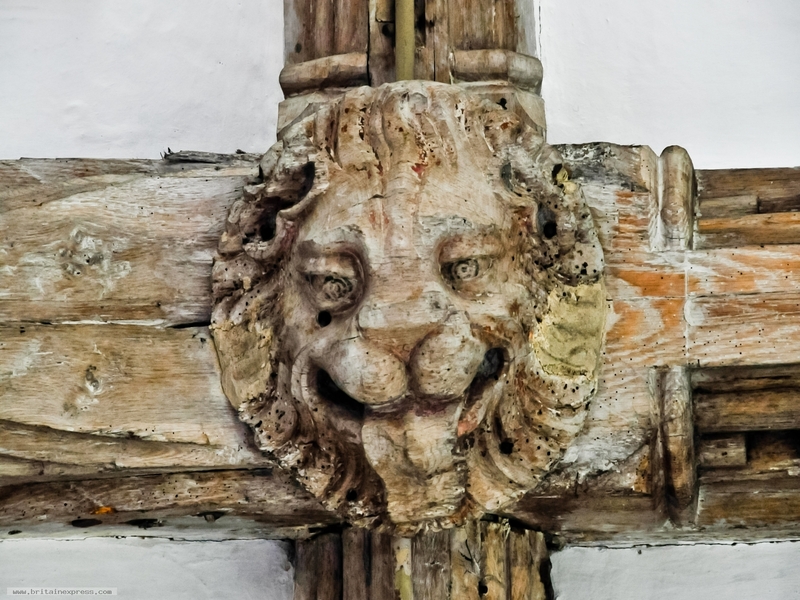 Here is a beautifully carved wooden roof boss depicting a lion, from the timber roof.